Your leader on the absence of leadership in the West is, indeed, frighteningly to the point. However, your paper being based in the UK, you could helpfully address the remarkable absence of your own country from participating in such leadership. Good papers, and none better than The Economist, are prodigal in comments and advice from the sidelines, schadenfreuding over the problems of the Euro, while berating UK's anemic economy. When Churchill famously said that his mother’s America always did the right thing, but only eventually and after exhausting all the other alternatives... he may have been inspired by his father’s country too. 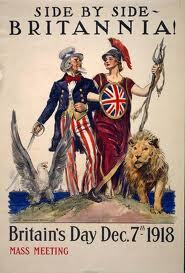 While I was growing up after the war in several parts of the world (Europe, Asia, Africa), the UK was seen as an example of democracy and justice, although self centered and egotistical, reassuringly predictable in the manner of always subordinating everything to its mercantile interests. Then time passed and in many ways the world changed, colonial powers vanished and a new international order was established. Meanwhile, the UK has sat out of the European Community and divided Europe by creating EFTA, until isolation hurt its economic interests enough to force its government to “cry uncle” and brave De Gaulle’s resentful scorn. Now, it’s sitting outside the Euro, depriving the common currency of the expertise and support of The City of London. During many years of working for a multi-national company (IBM Corporation) and several international organizations (IMF, OECD, UNU), I met many remarkable people, but cannot recall being impressed by any British leader as having a true international statesman standing. I often wondered why the British, for all their traditional political and business cunning, were fighting below their weigh in international affairs. Why is Great Britain retreating into its shrinking shell, instead of contributing fully to Europe's nations only chance of having a say in the world’s future, i.e. together? Unfortunately, this is a time of weak and disoriented European leadership, with backroom deals made on the sly. The contributions of countries like the Scandinavians, Switzerland and of course the UK, with strong democratic and economic credentials, are missed. The atavistic sentiments of fear and isolationism demonstrated by their peoples, or the misguided appeal of financial profiteering from being on the outside, are self-destructing and resented by their peers.